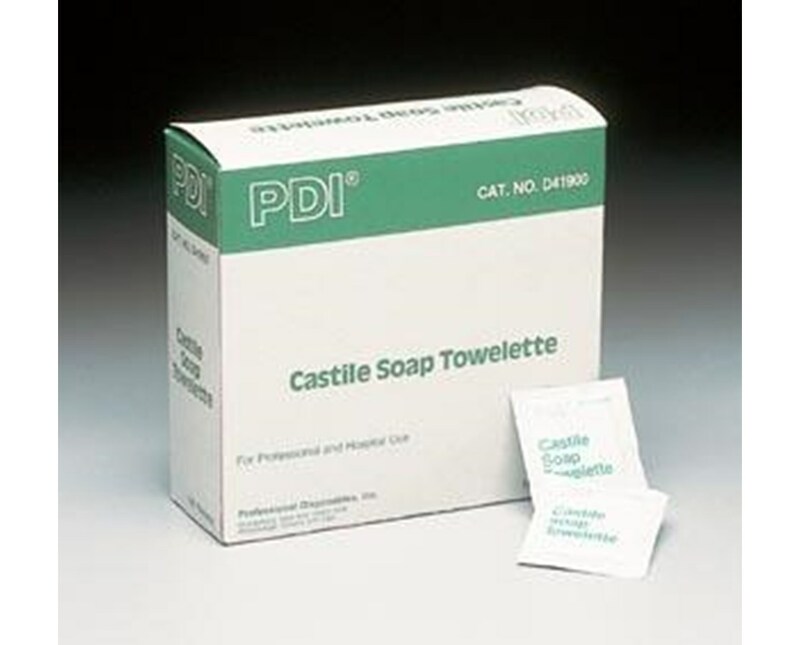 The PDI CASTILE Soap Towelette is ideal for midstream clean-catch urin specimen procedures. Contains 2% Coconut oil-based soap solution. 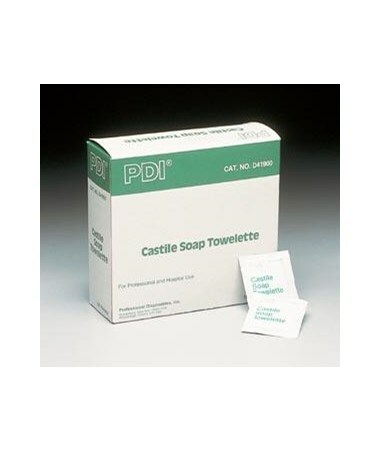 The CASTILE Soap Towelette is a gentle cleansing agent that is ph balanced. Each HYGEA® Hygienic Cleansing Towelette measures 2" x 2.25". Ideal for midstream clean-catch urine specimen procedures. Gentle cleansing agent, ph balanced. Contains 2% Coconut oil-based soap solution.